Now, scientists say the extreme orbit of a distant Trans-Neptunian Object, referred to as Caju, can be explained by the gravitational influence of a large planet in the solar system--which could potentially be our Ninth Planet. Astronomers spotted a Trans-Neptunian Object which reinforces the hypothesis of a Planet Nine in the outer solar system. Sorry, Plutonians, we’re not talking about your icy planetoid. Thanks to Kepler telescope, astronomers have discovered and catalogued thousands of exo-planets in the Milky Way. So, surely we’ve found all of the planets in our own solar system, right? Wrong. Or, at least, we’re not sure yet. Ancient astronomers identified five planets: Mercury, Venus, Mars, Jupiter, and Saturn. Then, in the 16th century, the Earth itself was recognized as a planet within Copernicus’ heliocentric system–orbiting the Sun with other 5 planets. Since then, only three other planets were discovered: Uranus (1781), Neptune (1846), and last, Pluto (1930). Pluto enjoyed its status as the ninth planet up until a little over a decade ago (2006), when astronomers decided to downgrade it. Pluto has become the representative of a new class of objects in the Kuiper belt called “dwarf planets”, or Trans-Neptunian Objects (TNOs). Though they couldn’t observe it directly, planetary scientists still believe there’s a ninth planet, and mounting evidence suggests it’s there in the far outer solar system. In 2016, two astronomers at the California Institute of Technology (Caltech) – Konstantin Batygin and Mike Brown – found several elements that support the existence of Planet Nine. The shadowy Planet Nine is thought to have an orbit about 20 times farther away than that of Neptune, which is 4.5 billion kilometers away from the Sun. It would therefore make a tour around the Sun once every 10,000-20,000 years. With an estimated ten Earth masses, this candidate Planet Nine, according to researchers, could explain the eccentric orbits of several objects in the Kuiper belt. The work of Batygin and Brown officially launched the hunt for Planet Nine. How “Caju” Gives Away Planet Nine? Now, scientists say the extreme orbit of a distant Trans-Neptunian Object, referred to as Caju, can be explained by the gravitational influence of a large planet in the solar system. Astronomers first spotted evidence of Caju, aka 2015 BP519, in 2014, thanks to data from the Dark Energy Survey, a project that’s not intended for planet hunt in the first place. At 55 AU (1 Astronomical Unit = distance between Earth and the Sun), Caju is located far away behind the orbit of Neptune, and has a very elliptical orbit that’s almost perpendicular to the plane of the solar system. Such an extreme orbit could be due to the gravitational influence of a large planet–our hypothetical Planet Nine. “… 2015 BP519 displays rich dynamical behavior, including rapid diffusion in semi-major axis and more constrained variations in eccentricity and inclination. We also consider the long term orbital stability and evolutionary behavior within the context of the Planet Nine Hypothesis, and find that BP519 adds to the circumstantial evidence for the existence of this proposed new member of the Solar System,” said authors of the paper. The clues leading to Planet Nine are mounting up, but astronomers have yet to find direct evidence of its existence. What other “observable” effects the mysterious Planet Nine might have on our solar system? The writer of this article does readers a tremendous disservice by portraying one side of the ongoing debate over planet definition as fact when this is far from the case. To begin with, Pluto is NOT an “icy planetoid.” Planetoid is a synonym for asteroid, namely an object not large enough to be rounded by its own gravity. Pluto is well beyond that threshold, as it is obviously spherical. It also has a composition of 70 percent rock. Most importantly, at least according to one legitimate view of the solar system, it IS still a planet. Dwarf planets are planets too, and our solar system already has more than nine planets. The controversial 2006 demotion of Pluto was done by just four percent of the IAU, most of whom were not planetary scientists but other types of astronomers. Their decision was immediately opposed by an equal number of planetary scientists in a formal petition led by New Horizons Principal Investigator Alan Stern. Ironically, Stern is the scientist who coined the term “dwarf planet,” but he did so with the intention of designating a third class of planets in addition to terrestrials and jovians, not to designate a class of non-planets. The four percent of the IAU who voted on this misused his term. It is an embarrassment to journalism that so many writers have blindly accepted the IAU viewpoint when the reality is their definition remains as controversial today as ever and is ignored by many planetary scientists. These scientists favor a geophysical definition, which does not require an object to clear its orbit to be a planet. According to the geophysical definition, which was introduced at the 2017 Lunar and Planetary Sciences Conference by Kirby Runyon, a planet is any non-self-luminous spheroidal body orbiting a star, free floating in space, or even orbiting another planet. If the object is large enough to be rounded by its own gravity and does not conduct fusion in its core, it is a planet. The unfortunate name “Planet 9” for this hypothetical gas giant in the outer solar system was chosen by a highly biased source, Mike Brown, who has built his reputation on the unprofessional notion that he somehow “killed” Pluto. It is an inherently biased, loaded term because it is based on the false notion that all scientists accept the IAU definition and its view of our solar system as having only eight planets when the reality is very different. 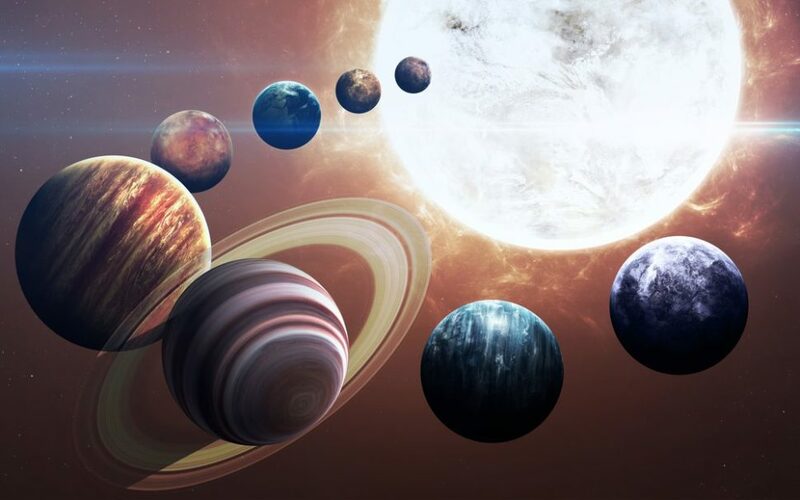 To scientists who favor the geophysical definition, our solar system already has a minimum of 13 planets and counting. If this new KBO is large enough to be rounded by its own gravity, it would be considered a planet too–a planet of the dwarf planet subcategory. The much more appropriate–and neutral–term for this hypothesized but undiscovered planet is the standard term for such an object, “Planet X,” with “X” referring to an unknown, not to the number ten. Please give serious consideration to a more fair and balanced depiction of our solar system in future articles.